“The veal cutlet of independent media”! They’re classy! 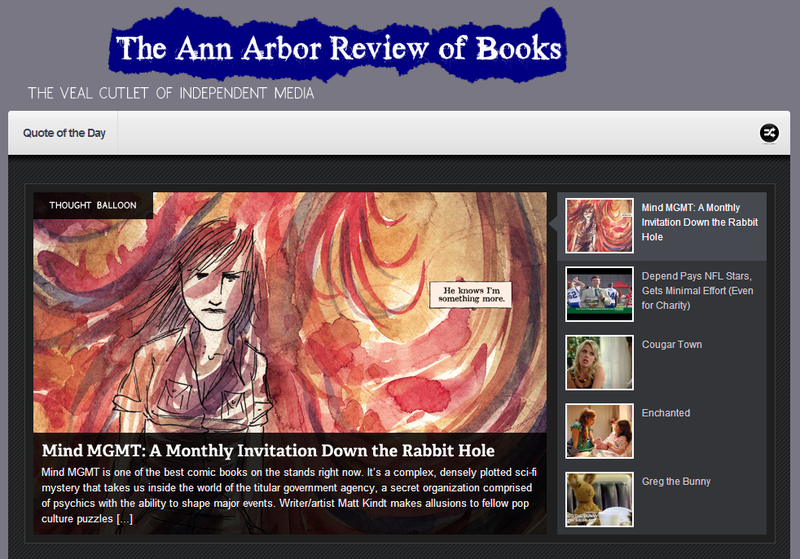 This entry was posted in Shameless Self-Promotion and tagged ann arbor review of books, arlo j wiley, comic books, comics, dark horse, graphic novels, literature, matt kindt, mind mgmt, revolver, super spy. Bookmark the permalink.